It is unlawful for employers to discriminate against employees because of their religion. If you believe that your employer has discriminated against you because of your religion, you have the right to sue your employer. The California Labor Law Employment Attorneys Group is here to ensure that you get the compensation you deserve for your employer’s illegal actions. Religion is the center of much political and philosophical discourse in today’s and has been for thousands of years. The law is very clear on religion, and that is that employers cannot discriminate against an employee simply because of their religion. Title VII of the Civil Rights Act of 1964 protects against employers discriminating against their employees. Before this law, employers were allowed to fire their employees, simply because of their religion. If you practiced something that was different or strange to your employer, you could easily be fired or treated differently. Title VII considers harassment a form of discrimination, and so employees cannot be harassed because of their religion. Employees who face harassment from other employees, clients, or other third parties have the right to file a claim against their employer. The California Labor Law Employment Attorneys Group is your religious discrimination attorney in Los Angeles and here to ensure that justice is served. If your employer discriminated against you just because of the religion, it is within your right to file a lawsuit and collect the various compensation available to you. Our attorneys will not stop until you have the maximum amount of compensation available to you because it is our mission to ensure that employers pay for their crimes against their honest and hard-working employees. Call the California Labor Law Employment Attorneys Group to receive damages which you are rightfully entitled. Here’s what you need to know regarding your rights to religious freedom and any steps you should take if your employer has violated those rights and unlawfully punished you. An employer cannot discriminate against their employee’s because of a person’s sincerely held beliefs. As stated above, harassment is considered by the courts as a form of discrimination, and so an employee is not allowed to be harassed for their religion. Religious discrimination is unique among protected classes throughout Title VII in that employers are required to accommodate against an employee’s religion. An employer may not make any job-related decisions based on an employee’s religion. This goes for every facet of the employment process from the interview to hiring, promotions, benefit recipients, and firing. For example, an employer may not refuse to hire a Muslim employee merely because they follow Islam. Employees without religion are also protected from facing the consequences of atheism. 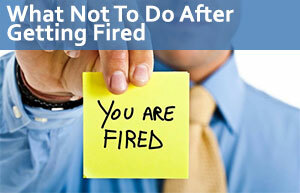 For example, an employer may not demote an employee simply because that employee’s lack of faith. A Mormon employer is not allowed to only hire other Mormons. When it comes to harassment, an employer is not allowed to make inappropriate comments about their employee’s religion. It is up to the employer to make the workplace a safe space for all employees. What Religions Are Protected Under Title VII? Employees and applicants are not allowed to be discriminated against because of their religious beliefs/practices, or any lack of religion. An employee does not need to belong to any major religion in order to receive the protections offered by Title VII. Indeed, they are protected whether the religion is traditional, outside of the mainstream, or if the beliefs seem to contradict the very religion they claim to follow. In order to be protected, their beliefs need to be religious in nature and sincerely held. Religious Beliefs: In order for a belief to be considered “religious,” they must be meaningful and must concern “ultimate ideas.” Ideas that have much to do with life, death, purpose, and generally includes a “higher-power” through whom answers to life, death, and purpose can be found. Whether a practice is religious depends on the reason for that practice. For example, an employee may wear something on their head, like a hijab, because her religion requires it as a form of modesty, while another employee might only wear something on their head as a fashion statement. The former is religious and therefore a protected activity; the latter is not religious. Sincerely Held Beliefs: An employer must accommodate an employee’s religious practice if it is sincerely held and believed. The practice must have something to do with the religion that one follows and each case is different. For example, some employers may require their employees to be clean-shaven. An employee may claim they cannot shave because of their religion when in reality, it’s because they don’t want to shave. Whether or not an employer is required to accommodate for their employee’s religion is up to the facts of each scenario. There are definitely some religions which do not allow their followers to shave and so the employer must look at the facts objectively. If you believe that your employer has discriminated against you because of your religion, you have the right to file a lawsuit against their illegal actions. But before you can slap a lawsuit on their desk in the name of your god, you must first file a charge with an employment government agency. There are two agencies which are available to you: the Equal Employment Opportunity Commission (EEOC), and the Department of Fair Employment & Housing (DFEH) – these two entities are the federal agency and the state agency, respectively. Both state and federal law makes it unlawful for managers to discriminate against someone’s religion, and so that means that both of these agencies will protect your rights. Since both agencies have laws protecting religion, you can file with either agency. Both of these agencies have something called a “work-sharing agreement.” So when you file a charge with one, an identical copy is sent to the other agency. This duplication process is called “dual-filing” and serves to protect your rights under both state and federal laws. Normally, under the EEOC, you only have 180 days to file your charge against your employer. But because religious discrimination is against the law under federal and state laws, the deadline to file your charge with the DFEH is 300 calendar days. The 300 days start from the day you received the discrimination, if the discrimination is ongoing, then you have 300 days from the day you last received discrimination. Weekends and holidays count against the time you have, but if the deadline falls on a weekend or holiday, the deadline is moved to the next business day. We recommend that you not wait for the last day as there could be some important paperwork missing. Once you pass the statute of limitations, your lawsuit becomes null. It is important that you move quickly; a qualified employment lawyer will help guide you through every step of the way. After you file your charge against your employer, the government agency will review your claim. If they conclude that it was more likely than not that your employer took action against you because of your religion, you can then take your employer to court. You can request a “right-to-sue” letter which gives you the legal green-light to sue your employer. We highly recommend that you only request this letter once you and your attorney are ready to go to court as you only have 90 days to file the suit against your employer. The California Labor Law Employment Attorneys Group are your workplace religious discrimination lawyers in Los Angeles and are here to make sure that justice is served. If you believe that your employer has infringed upon your right because of the religion you practice, you have a right to file a workplace religious discrimination lawsuit against them. We offer free consultation, which gives you the ability to sit down with one of our lawyers and explain your case them – why you believe that your right to follow any religion was the reason that your employer acted against you. Our attorney will give you their initial thoughts on your case. There is no financial obligation, so you can choose to contract us as your legal representation or not. Upon accepting your case, you will pay no upfront costs: that’s our zero-fee guarantee. If we cannot prove your case, you will not pay for our services. There is no financial risk on your part! Call the California Labor Law Employment Attorneys Group today to see what we can do for you.